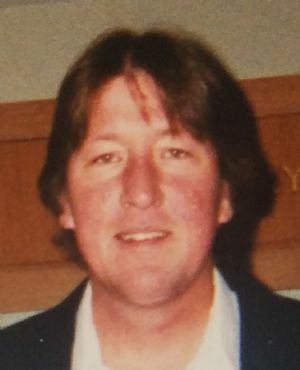 Mark R. Jillson, age 56, of Montello, WI passed away unexpectedly on Monday, November 12, 2018 in Packwaukee, WI. Mark was born on August 31, 1962 in Beaver Dam, WI, the son of Roger and Kay (LeCount) Jillson. He graduated from Beaver Dam High School and went on to serve our country in the Marine Corps from 1980 until 1984. He married Barb Callies on December 10, 1999. Mark worked most of his life at Oscar Meyer in Madison, but most recently at Dawn's Foods in Portage, WI. He was a generous and caring man who showed love and compassion to all. Mark was an avid hunter and fisherman and thrived on being outdoors. He loved passing down his love and knowledge of nature to his great nieces and nephews, a trip to the cottage while visiting was always a must. His love for animals was infallible, never turning away a stray and always spoiling his beloved dogs, Pistol and Brandie. Mark was truly a blessing to all who knew him and will be greatly missed. Mark is survived by his loving wife, Barb Jillson of Montello, WI; two brothers, Jeff Jillson of Montello, WI and John (Sandie) Jillson of Beaver Dam, WI; two sisters-in-law, Jean (Mark) Callies-Volek of Redgranite, WI and Vickie Bridges of Neenah, WI; five nieces, Michele (Dan) Bie, Jess (Paul) Priebe, Ashley (Mark) Moretti, Tonya Volek and Tiffany Hass; and six nephews, Mathew Wille, Joshua Pierce, Jason Callies, Matthew Callies, Jordan Volek and Dan Hass, Jr. He was preceded in death by his parents, Roger and Kay Jillson; paternal and maternal grandparents; brothers-in-law, Richard Callies, and Dan Hass; a niece, Amanda Callies; a sister-in-law, Cyndie Hass, and close friend, Mike Begg, who was like a brother to Mark. Per his wishes cremation will take place and a Celebration of Life will be held on June 15, 2019, at 12:00 pm at the family cottage, N3088 Lakeview Dr., Packwaukee, WI, 53953.